As the fastest growing sector of the U.S. music market, world music has embedded itself in the fabric of American life. Artists such as Peter Gabriel, Paul Simon and the Talking Heads have all utilized characteristics of the "world" sound in their music, while international performers are enjoying unexpected fame in the U.S. At the same time, in an era of unprecedented immigration and globalization, people all over the world are using music as way to preserve their local and ethnic identity. 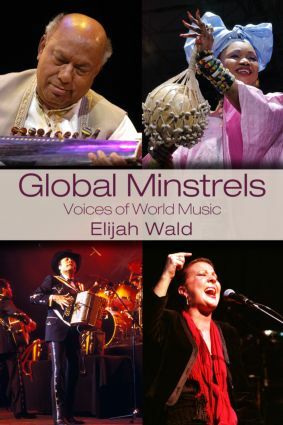 Global Minstrels: Voices of World Music is an accessible introduction to international music and culture. Including conversations with dozens of artists from five continents, it explores the breadth of the world music experience through the voices of the musicians themselves. In the process, it gives a unique view of the interactions of a globalizing society and introduces readers to some of the most fascinating and thoughtful artists working on the current scene. Artists profiled include Oumou Sangare, Caetano Veloso, Ravi Shankar, Paco de Lucía, Ladysmith Black Mambazo, and many more.